The Grand National is only a week away now from the famous Aintree racecourse. This is the biggest race in the annual racing calendar and one race which a staggering 65% of the UK population have a flutter on. Be sure to check out our latest grand national betting offers here at Findabet. Don’t forget the the US Masters Golf Championship is also around the corner so be sure to have a look at that as well. Congratulations to Mon Mome for winning the 2009 Grand National at Aintree. The 100-1 chance Mon Mome caused a massive shock with a superb display to win the Grand National at Aintree. Trained by Venetia Williams and ridden by Liam Treadwell on his Grand National debut, the nine-year-old came home a 12-length victor. He jumped the last alongside last year's winner Comply or Die but pulled away after the final fence. Comply or Die (14-1) held off My Will (8-1) for second, with State of Play (14-1) in fourth. Next major betting event is the 2009 Golf US Masters. The 2009 Grand National is nearly here. 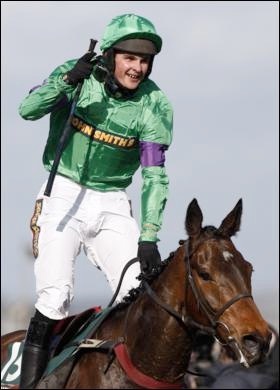 Be sure to check out the 2009 Grand National Betting guide from Findabet and be sure to check out the offers that Paddy Power have for the Grand National. Paddy Power are offering a free £20 bet as well as paying out for the first five places. Now, The Grand National and Bingo don't really go hand in hand, however, Crown Bingo have released a Grand National Promotion. Every Full House winner on Saturday 5th April in Bingo Room 2 from midday will be allocated one of the runners in the Grand National. The offer will finish when all of the horses have been allocated. Then, if you have been allocated the winning horse, you will win a prize! Be sure to sign up to Crown Bingo and give it a go to stand a chance of winning big on the Grand National. The Grand National is coming! 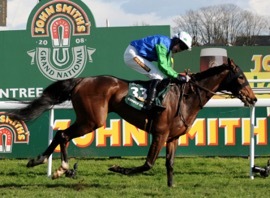 This Saturday the Aintree racecourse hosts the 161st running of the John Smith's Grand National. Totesport are the official betting partner for the Grand National and as usual offers some of the best prices available for the Grand National, what is the largest betting race in the sporting calendar. Although Tote, like many others are not offering a free bet on the Grand National, you can take advantage of the Free Bet, up to £25 for the Thursday and Friday at Aintree. So, what are you waiting for! Sign up today and good luck betting with Totesport!.